Getting The Gig is not just a booking agency. 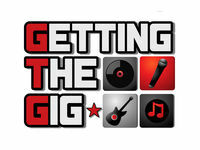 Getting The Gig is the collection of a network of Professionals in the music industry that can all be leverage with one industry contact. 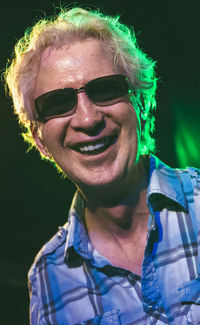 Founder and bonded booking agent, Sy Seyler, entered the Mid-Atlantic music scene in 1989 and started developing relationships with entertainers, agents, production companies, bar owners, party and wedding planners, recording studios, engineers, deejays, instrument repair technicians and other professionals in related business. Sy has first hand experience with all of these vendors in Maryland, District Of Columbia, Pennsylvania and Virginia. For Artists, this means that Getting The Gig has a host of services that can be available to you with one phone call or email. For individuals that want to hire a band, this means that Getting The Gig understands the booking process and how to capture the customer's requirement to hire the right band for the engagement. Sy Seyler got involved in the Mid-Atlantic music scene by playing original music in 1989. Over the next few years he played drums in several bands including Return To Zero, Shock LaRue and Aislynn before forming The Reagan Years in 1996. In those acts Sy was the booking contact, created promotional materials, reached out to new venues, negotiated compensation, hired production, worked with event coordinators, radio personalities and others involved with typical engagements. It was quickly apparent that he was a natural leader and was able to tie together the artist performance with vendor requirements , venue dependencies and Marketing. In 2011 Sy formed Getting The Gig Entertainment to convert his knowledge into a service that would help and inspire other professionals in the music industry. Since then he has booked many engagements for various musicians, a number of nightclubs, festivals and private venues throughout country and abroad. In October 2014, Getting The Gig introduced Paul Majors. Getting The Gig is forming a collection of interesting bands that can satisfy a diverse pallet of musical tastes. They are growing artists as well as special events such as the Official Pre-M3 Party by featuring asrtists such as Milli of Steelheart and Jack Russell of Great White in an intimate club setting, also Kip Winger, Stephen Pearcy and LA Guns to larger nightclub stages. Contact Getting The Gig to see how they can help your entertainment related business. Are you a leader in the Mid-Atlantic Music scene? Do you think you have what it takes to become a professional talent buyer? Contact us because we are always looking for the right candidate for the team!